Michelle de Kretser was born in Sri Lanka and emigrated to Australia when she was 14. Educated in Melbourne and Paris, Michelle has worked as a university tutor, an editor and a book reviewer. She is the author of The Rose Grower, The Hamilton Case, which won the Commonwealth Prize (SE Asia and Pacific region) and the UK Encore Prize, and The Lost Dog, which was widely praised by writers such as A. S. Byatt, Hilary Mantel and William Boyd and won a swag of awards, including: the 2008 NSW Premier’s Book of the Year Award and the Christina Stead Prize for Fiction, and the 2008 ALS Gold Medal. 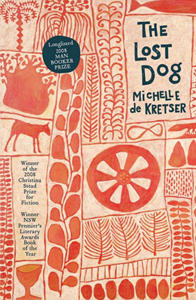 The Lost Dog was also shortlisted for the Vance Palmer Prize for Fiction, the Western Australian Premier’s Australia-Asia Literary Award, the Commonwealth Writers’ Prize (Asia-Pacific Region) and Orange Prize’s Shadow Youth Panel. It was longlisted for the Man Booker Prize and the Orange Prize for Fiction.